Explícito Episode 25 - Who Shot Ya'? The boys go 90’s Gangster this month with the first of 3 influential crime films that brought Hip Hop to the forefront in Cinema. 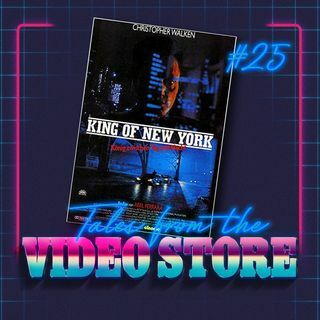 The film is Christopher Walken’s masterpiece, King of New York. Garrick discusses the Biggie/Tupac Mystery while Doug talks Ninja Assassin. Lee talks about the film title, “The Movie Made For Lee Bridges” and the boys give thanks for nearing the 1000 likes! BREAK YOURSELF! The new Tales is here!!! !